Cameron's Dad has a great sense of humor and this week, it was definitely exercised! Jane was gone for a portion of the week with girlfriend activities so the boys had a chance to hang out. 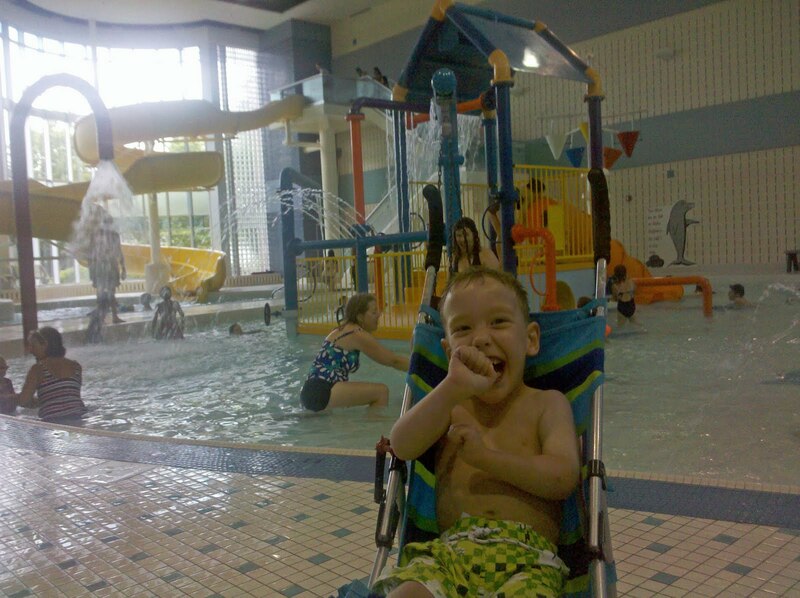 Chris took Cam over to the Holland Aquatic Center where lots of kids were splashing around. There were buckets, slides and fountains. 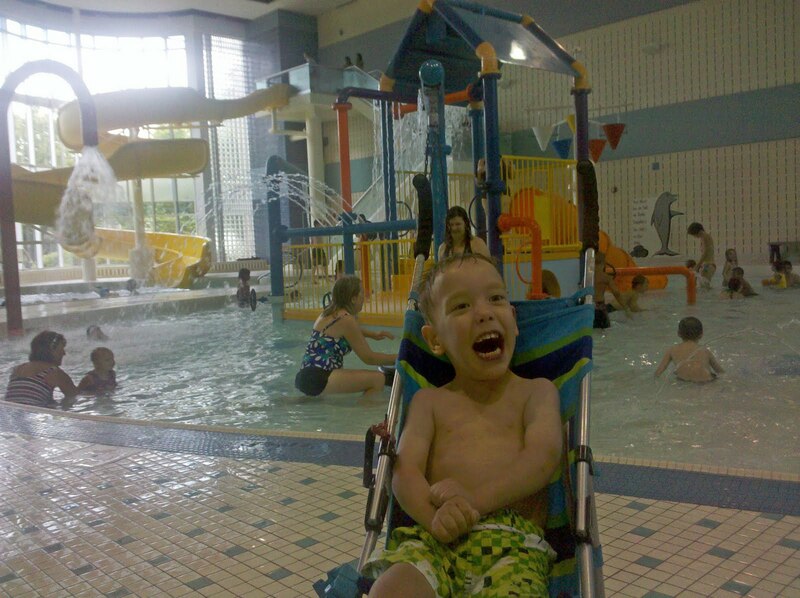 Cam's favorite activity was pushing on the fountain so the wa ter would spray on him more. He's quite the little fish and definitely enjoyed himself. Silly sunglasses and hats were tried on at a party su pply store where Cam and his Dad found lots of fun toys to check out. Cameron was pretty amazed by the huge balloons covering the walls. He certainly gave his parents some birthday ideas! Everywhere Ca m goes, he wears a smile and everyone says that his laughter is completely contagious. One of our favorite family sayings goes with the true meaning of a piggyback...."hold on and enjoy the ride!"